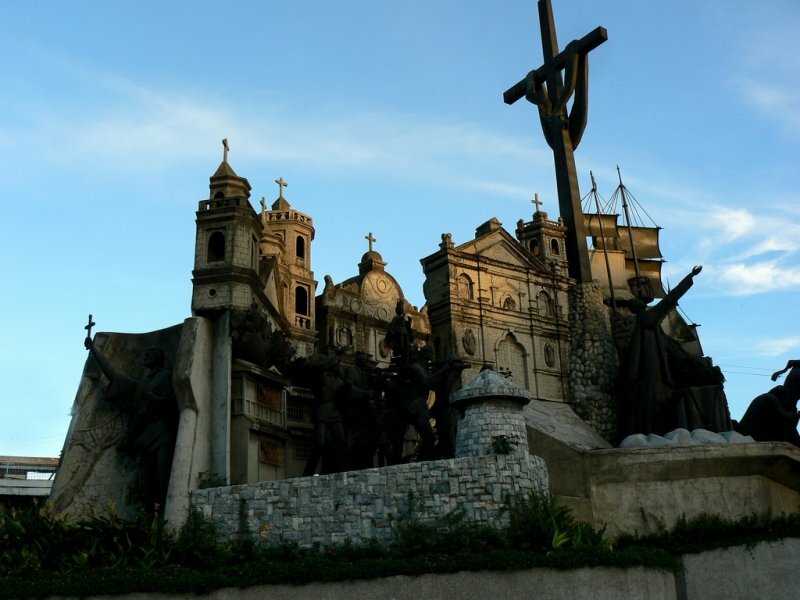 Cebu is beautiful – it is teeming with culture and heritage and has a variety of delicious food to choose from. Pristine white sand beaches and stunning natural wonders are also just a few hours drive away from the capital city. 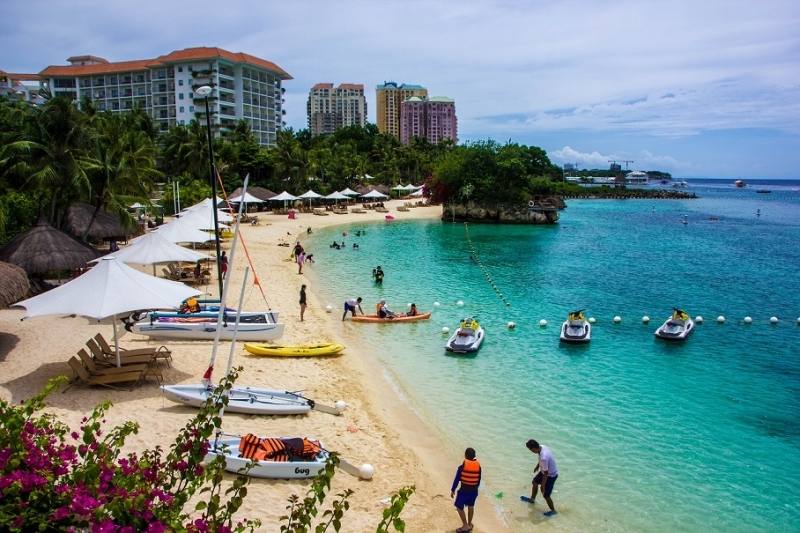 A day or two would certainly not be enough to enjoy everything that Cebu has to offer. 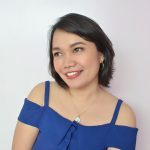 However, if you are really pressed for time, I’ve come up with a quick guide to help you plan a short 48-hour trip to the best of Cebu. First things first! Where to stay? While there are plenty of accommodation options here, why not kick your stay up a notch by staying at a 5-star resort in Cebu – Shangri-La's Mactan Resort & Spa. The Shangri-La experience begins from the moment you check in until the minute you bid adieu. Its attention to details and impeccable service deserve a guest satisfaction worthy of a 100. Indulge in a gastronomic treat at any of its six specialty restaurants, swim with the schools of fish at its very own marine sanctuary, or relax at CHI, The Spa at Shangri-La. Whether you're travelling solo, with friends or with your family, there’s definitely something for everyone to enjoy here! Shangri-La's Mactan Resort and Spa wants you to treat your family to a whole lot of fun with its Family Fun Package inclusive of accommodation, a generous meal plan, round-trip airport shuttle bus transfers, and fun playtime offers at Adventure Zone and the beach. What's more, you also get to enjoy unlimited use of snorkel sets and kayaks during the stay, and complimentary resort activities such as yoga, garden tours, Zumba and a snorkelling safari. You should not miss this incredible offer. Click HERE to book now! Find out more about Shangri-La’s Mactan Resort & Spa on TripZillaSTAYS. Let me take you to where it all began. 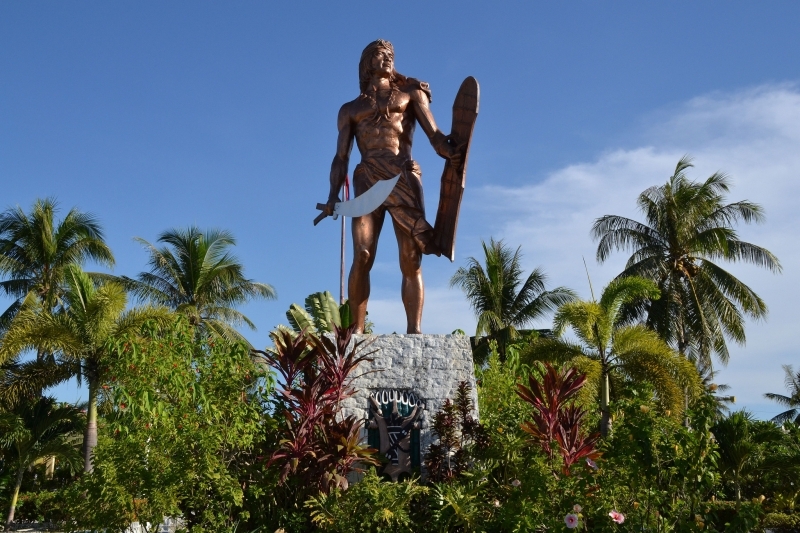 The datu chieftain, Lapu-Lapu is the first Filipino hero to have defended his island from the foreign oppressors. This is the location where Lapu-Lapu killed Ferdinand Magellan, the Portuguese explorer who attempted to convert the natives to Christianity. Legend has it that when the tide is low, a tainted red rock would appear on the surface. Locals say that it is the blood of the foreign soldiers who died in the hands of the natives. A celebration is held in honour of the chieftain every April where there is a re-enactment of the “Battle of Mactan”. It is not surprising that the island is named after its chieftain. This is the iconic little hut that appears on postcards and posters. 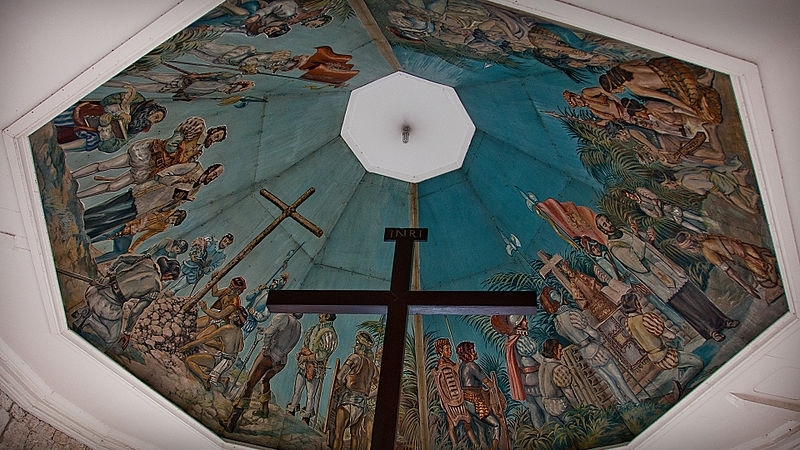 It houses the cross that Magellan brought to Cebu. Aside from the cross, the Portuguese explorer also brought a small image of the Child Jesus which is said to have been given to Queen Juana. 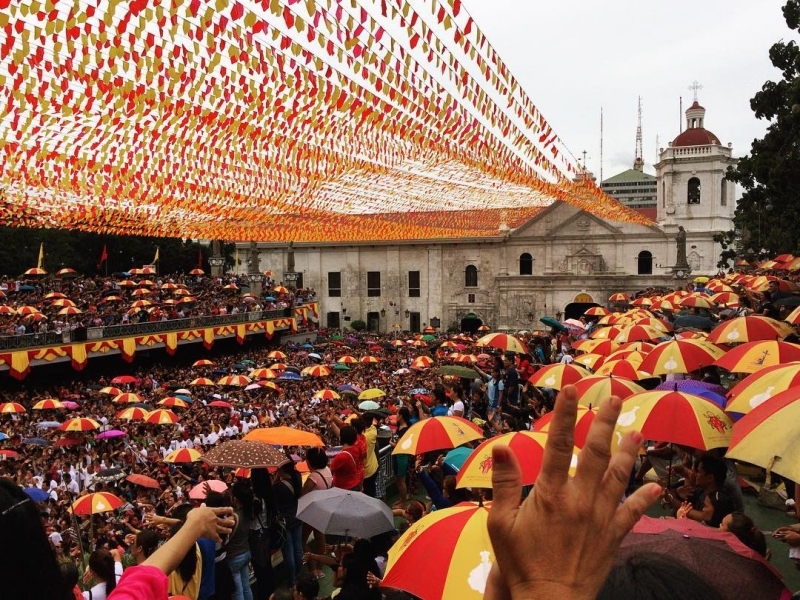 As a nod to the tradition, a city-wide event called Sinulog, is celebrated every third Sunday of January. 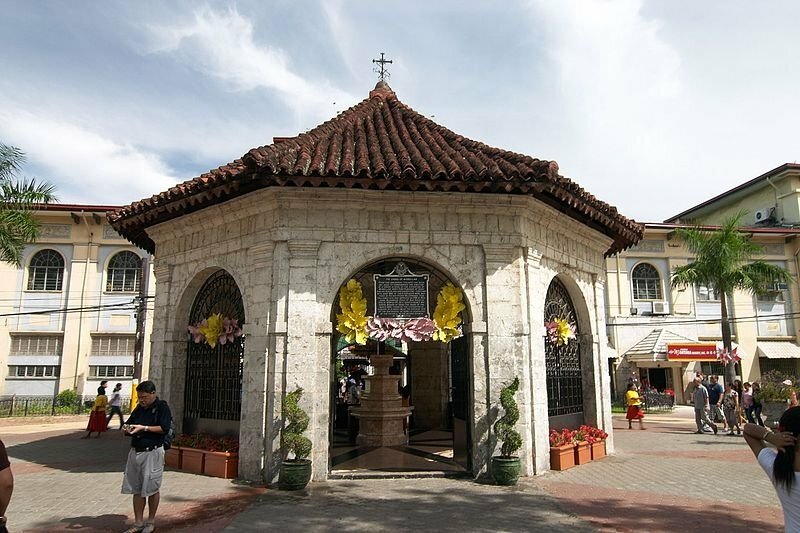 The basilica is just beside the Magellan’s Cross. Except for a minor damage on the bell tower, the church survived the strong earthquake that hit the city on 15 October 2013. Devotees would flock the church to honour the Child Jesus. A lot of faithful devotees can testify miracles granted by Snr. Sto. Niño, and I am one those who can attest to that. 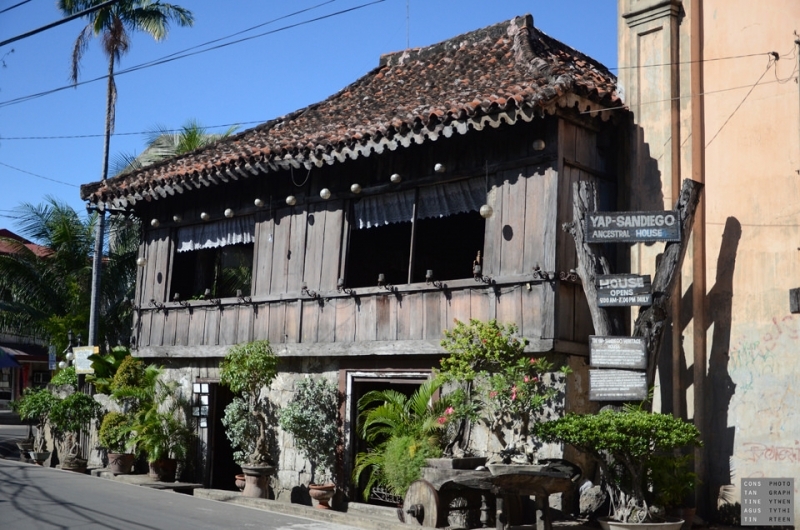 Right off Colon Street, the oldest street in the Philippines, there are well-preserved Spanish houses and museums that depict the early lives of a Cebuano. From Colon Street, you can walk your way towards heritage spots in Brgy. Parian including Casa Gorordo, a private home turned museum which houses altarpieces, paintings, relics and antique furnishings; Yap-San Diego House, known as the oldest Chinese house outside China; and Jesuit House , one of the oldest dated houses in the country. The fort is triangular in shape in which two sides face the sea while the third one faces the land. 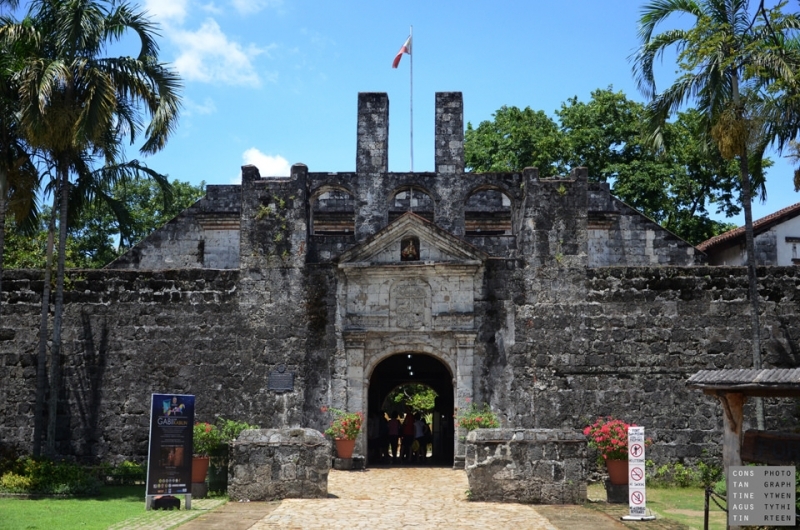 It stands beside the Plaza Independencia and is one of Cebu’s historical landmarks where travellers can admire the old warfare weapons used by the ancestors. You can just imagine how the Filipinos run around the walls, avenging the death of their forefathers and dying for their country. Cebu is also the home of the Fil-Chinese community. 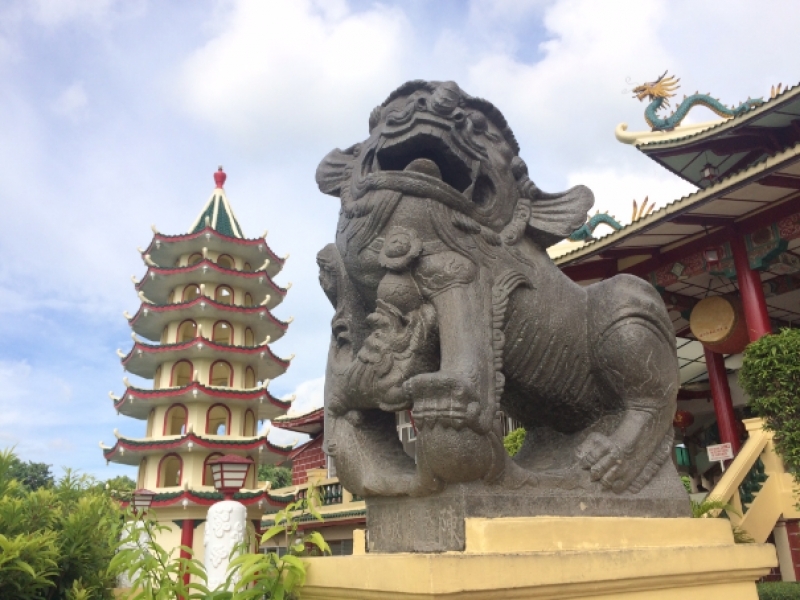 The Taoist Temple lies in Lahug where you can ride a habal-habal for a minimal fee. It is best to visit early in the morning to avoid the crowd. The altar itself is off limits to picture-taking but visitors are invited to donate and light a joss stick, kneel on one of the pillows and pray to their gods.Tourists can also make a wish by tossing the kidney stones to the ground. The monk caretaker would give instructions on how to do it. It is a sin to leave Cebu without at least trying the crispy skin of a roasted pig filled with herbs and spices. 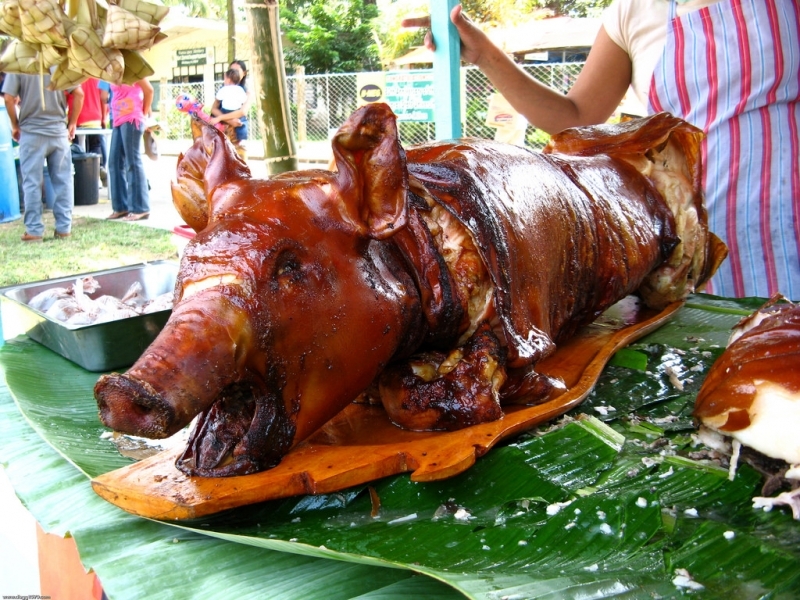 Locals would happily point you to CNT and Rico’s Lechon if you are within the city proper. If you are heading down south, do try Carcar or Talisay’s version. Diet is not in the Cebuanos’ vocabulary. Promise, it is worth the calories. Whether you are a returnee or a first-timer, I recommend you to visit Sugbo Mercado for the weekend. 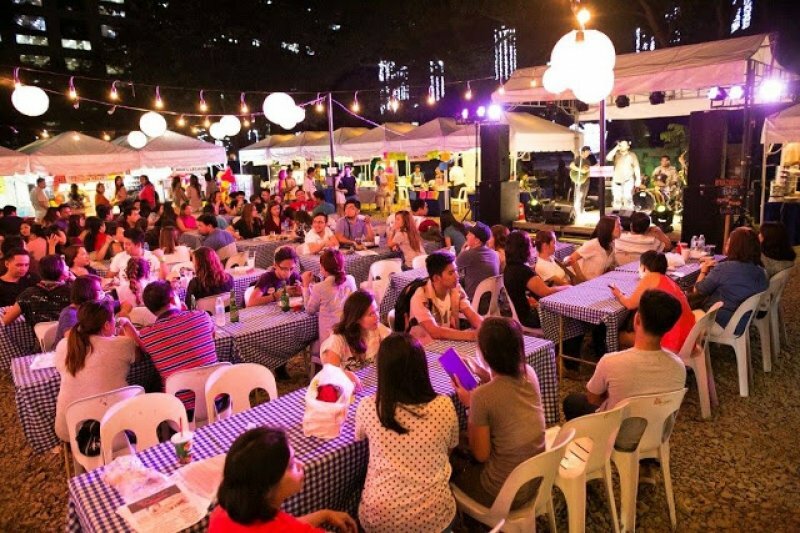 It is Cebu’s weekend food market where local food entrepreneurs and a handful of restaurant players offer wide variety of gastronomic spread catering to international and local taste buds. Drop by early to get good seats because it is usually packed during weekends. Their flagship location in I.T. Park is now open from Thursdays to Sundays (5pm – 1am). If you have a bad case of lechon craving, they also have it here. Locals have been growing celosias (red and yellow blooms) and other flowers all year round. 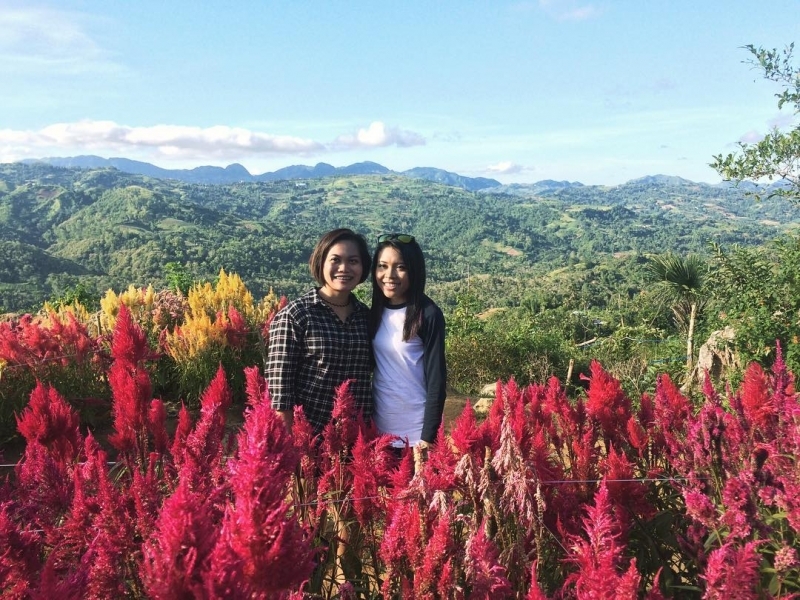 When the social media picked up the colourful flowers and people saw how amazing they look on Instagram and Facebook, it became a tourist attraction to both locals and travellers. Ah, the Greek-like edifice tribute to the wife of a local businessman. This is Cebu’s answer to India’s Taj Mahal. It was built to honour the love of a business tycoon to his wife. 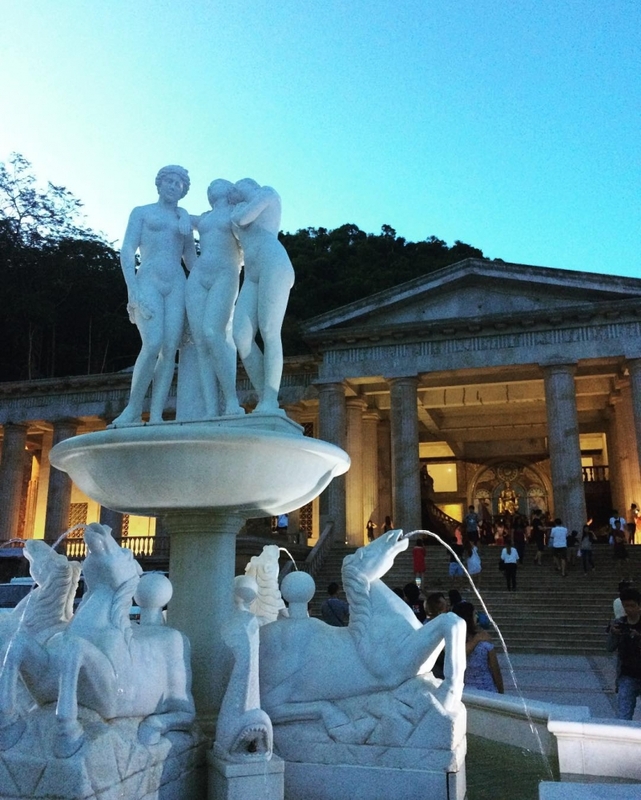 Aside from looking like Greece’s Parthenon, it also offers an unparalleled view of Cebu from the mountains. The temple is just a few minutes away from the Sirao Flower Farm. O-Peak or Osmeña Peak is two to three hours away from the city proper. You can actually do this on a day-trip then head back to the city afterwards. Don’t worry, this is recommended for beginners. 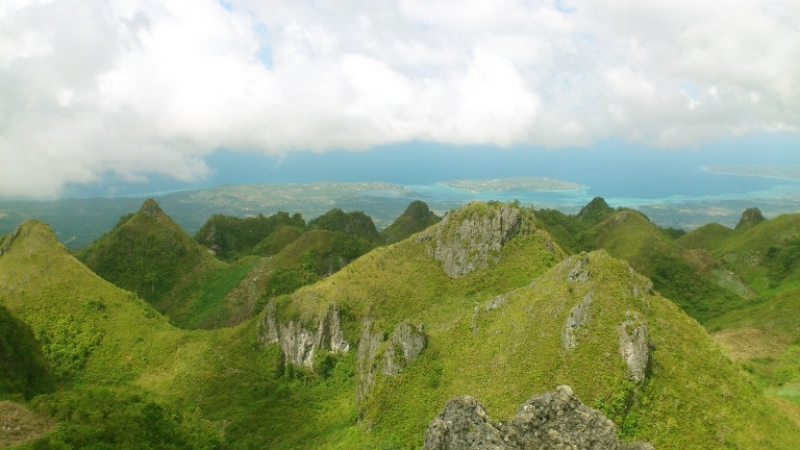 This is Cebu’s highest mountain with an easy trail. On a clear day, you can enjoy breathtaking views of the hills jutting out like Bohol’s Chocolate Hills and the surrounding Badian Island. 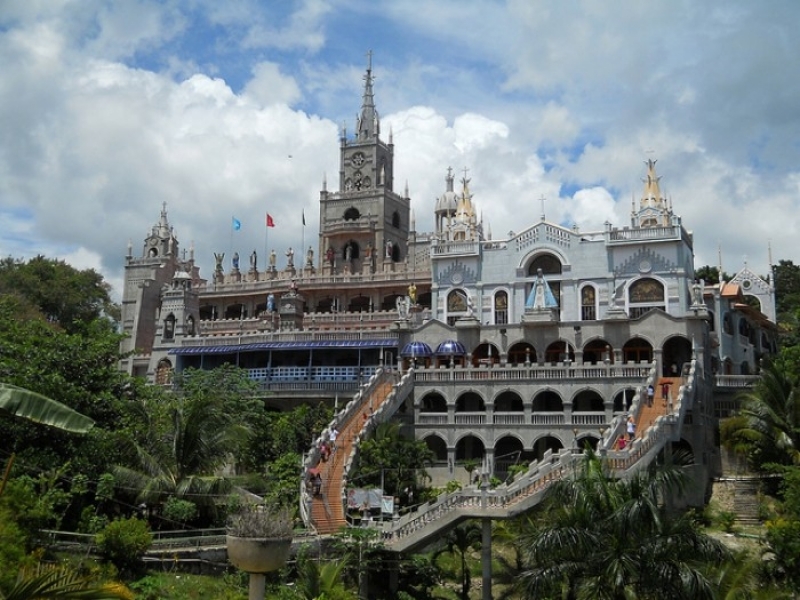 This castle-like church is erected in the middle of the mountains of Sibonga, down south of Cebu. The church is always renovating, making improvements on the structure, making it more attractive to visitors and Marian devotees. The Birhen sa Simala (Mother Mary of Simala) is said to be miraculous. Devotees would travel far and wide to offer their prayers, wishes and return few months or years after to offer their prayer of thanks. Wheelchairs, crutches, diplomas, certificates and other memorabilia deck the walls of the church interiors, as testament that one’s prayers were answered. Food is the way to a (wo)man’s heart and stomach. It is highly recommended you take home a piece of Cebu. Pasalubong centres can be found in the malls. 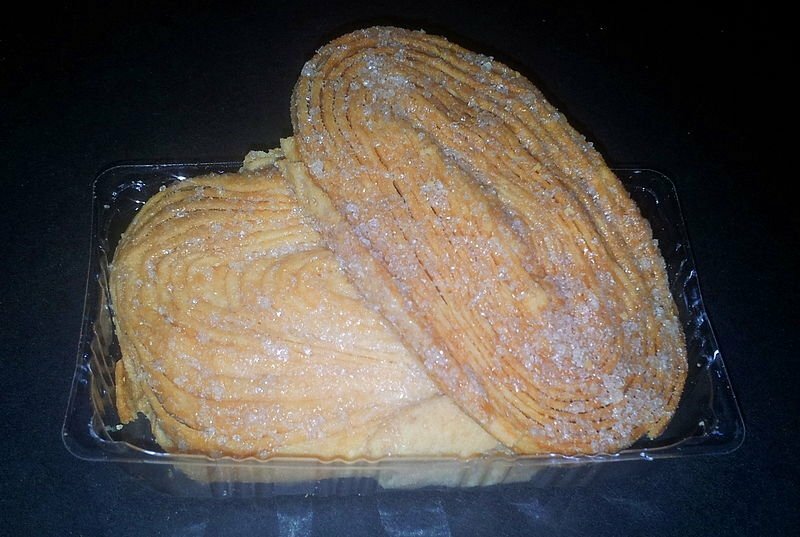 Be sure to buy otap (oval-shaped puff pastry), masareal (ground peanuts and syrup), dried mangoes, rosquillos (egg cookies) and chicharon (fried pork rinds). Your loved ones would definitely appreciate the gesture.